An adorable pencil case that packs a punch! 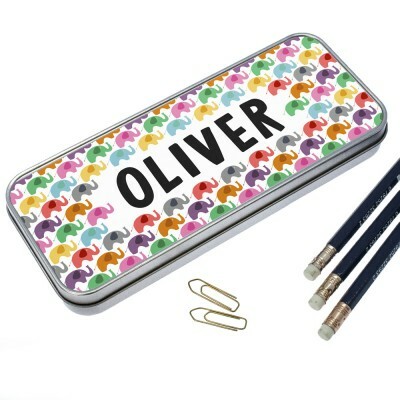 Full of multi coloured Elephants, this pencil case is fun and full of personality. The tin itself is made from hardwearing stainless steel and is long and spacious enough to hold their pencils, pens (a small size ruler )rubber and much more.